This USB-C™ to DisplayPort adapter enables you to output DP video and audio from the USB Type-C™ port on your laptop or other device. 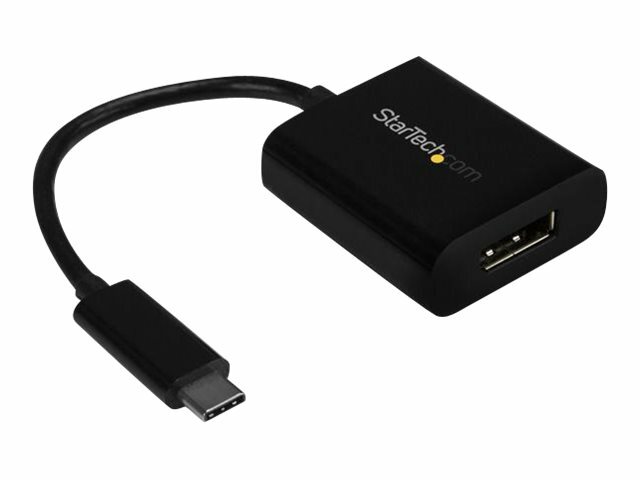 The adapter works with USB-C devices that pass a DisplayPort (DP) video signal, such as your MacBook Pro, Chromebook™ or other USB-C laptop. 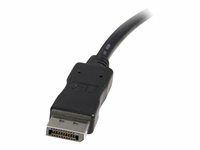 This enables you to connect your DisplayPort display to your USB-C computer using a DisplayPort cable. 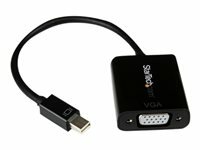 The adapter lets you harness the video capabilities that are built into your computer's USB Type-C connection, to deliver the astonishing quality of UHD to your 4K 60Hz display. This makes it easier for you to multitask while working on the most resource-demanding applications imaginable. With this adapter, you can achieve an output resolution of up to 3840 x 2160p at 60Hz, which is perfect for performing high-resolution tasks such as viewing 4K video. Plus, the adapter is backward compatible with 1080p displays, which makes it a great accessory for home, office or other workspace applications. This USB Type-C video adapter is highly portable with a small footprint and lightweight design that’s easy to tuck into your laptop bag. 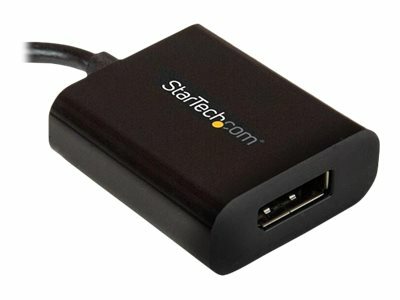 The adapter is the perfect accessory for connecting your MacBook Pro or Dell XPS™ to a DisplayPort monitor or display in BYOD (Bring Your Own Device) applications at the office. This adapter lets you utilize the versatile USB Type-C port on your portable device. USB Type-C is a reversible connector, so it doesn't matter which way you plug it in, the adapter will always work, saving you the hassle and embarrassment of adjusting your device when you're trying to deliver a presentation. The CDP2DP is backed by a 2-year StarTech.com warranty and free lifetime technical support. Connect your laptop with USB Type-C to a DisplayPort monitor or screen. 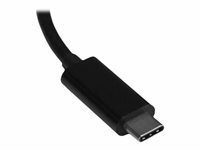 This USB-C to DisplayPort adapter enables you to output DP video and audio from the USB Type-C port on your laptop or other device. The adapter works with USB-C devices that pass a DisplayPort (DP) video signal, such as your MacBook Pro, Chromebook or 2018 iPad Pro. 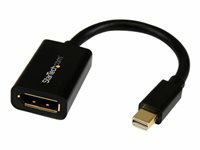 This enables you to connect your DisplayPort display to your USB-C computer using a DisplayPort cable. This USB Type-C video adapter is highly portable with a small footprint and lightweight design that's easy to tuck into your laptop bag. The adapter is the perfect accessory for connecting your MacBook Pro or Dell XPS to a DisplayPort monitor or display in BYOD (Bring Your Own Device) applications at the office. 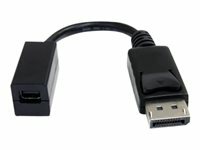 Your USB-C device must support DisplayPort over USB-C (DP alt mode) to work with this adapter. 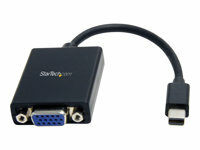 This adapter outputs a single-mode DisplayPort signal and will not work with additional video adapters such as DisplayPort to HDMI, DisplayPort to VGA or DisplayPort to DVI adapters.